New customers often ask about the difference between Oriental rugs and Persian rugs. Until around 50 years ago, any rug made in the Middle East or Asia was considered an oriental rug. Most people get confused between Oriental carpets and Persian carpets, though they’re very distinct. Traditionally, the terms Oriental and Persian referred to the area where the rug was manufactured. The difference between Persian and Oriental rugs is quite vast but either way, both Persian and Oriental rugs are beautiful and unique in their own way. Here are some of those distinctions. The difference between Oriental rugs and Persian rugs is strictly geographical and refers to the rug’s point of origin. A rug from Central Asia, a region once known as The Orient, is an Oriental rug. This region comprises China, Afghanistan, Nepal, Pakistan, Russia, and India, and so a rug made in any of those countries is an oriental rug. The Persian rug dates many centuries back to the Persian Empire. While it can be proven that the borders of the Persian Empire changed from time to time, Persian rugs originated from the present day country of Iran. Pakistan’s indigenous weavers are also known to have made the tribal Persian rugs. The design of both Persian and Oriental rugs sets them apart. A conventional Persian carpet can include any four primary patterns: all-over, compartment, central medallion and one-sided. Most styles feature symmetrical design or at least designs that appear symmetrical. Persian rugs tend to incorporate more warm-toned design colors. Their wool is chiefly dyed in deep indigo, rust stones, ivory, red, golden yellow and sage colors. Oriental rugs on the other hand, incorporate the same patterns as Persian rugs, usually with a twist. They often contain flora and fauna motifs, using a more curved line quality that is typically seen in Persian rugs. They also include landscape designs with mountains, fields, lakes, and trees. Many Oriental rugs are also sculpted with contrasting colors that add texture to the designs in the weave. 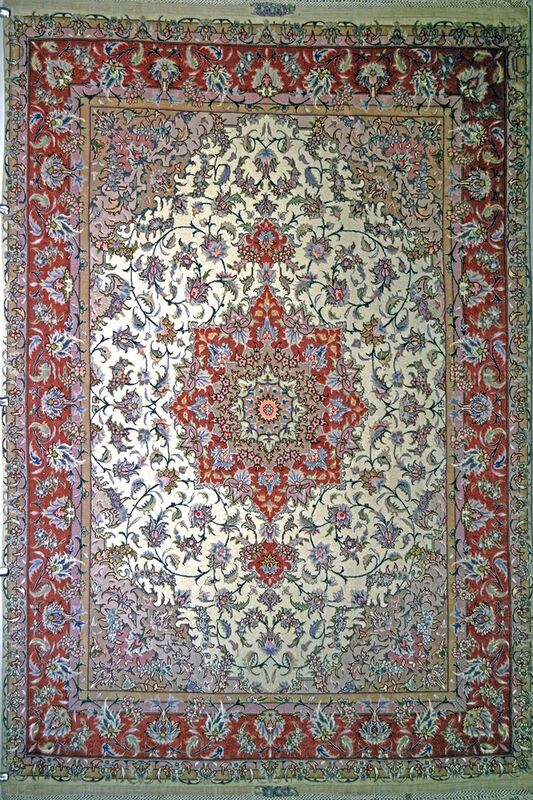 Another significant difference between Persian and Oriental rugs is the type of knots used to create the rug. Oriental rugs tend to be of high quality, with smaller hand-tied knots and a denser pile than other rugs. Authentic Oriental and Persian rugs are knotted by hand on looms. Persian rugs are noted for their supreme craftsmanship and quality, with up to 160 hand knots per square inch. Symmetrical Ghiordes knot is used to tie the Oriental rugs. The Ghiordes knot is found in rugs that are hand knotted by weavers from Kurdish areas and Turkey. Persian rugs are typically knotted using a Senneh knot that is asymmetrical. Countries that have spent the last millenniums trying these types of knots include Pakistan, China, India, Egypt, and Iran. Rugs that are woven using the Senneh knot are usually more precise and symmetrical. It is sometimes hard to distinguish the difference between Persian and Oriental rugs. Their natural wool fibers, ancient and intricate designs, great artistry and durability make them the most highly sought after rugs around the globe. Both types of rugs increase in value over time. Both types of rugs have been handcrafted and it makes them a treasure that can bring happiness and elegance to your home for many years to come.